Home » Retirement Planning » What is a Self-Directed IRA? Planning for your retirement is an important step, and while most people are familiar with traditional and Roth IRA accounts, there’s a third, less common option. For people who want a more hands-on approach, a self-directed IRA is a great alternative. A self-directed IRA is identical to a traditional IRA in most ways but can be used to hold some investments that a traditional IRA doesn’t. With a self-directed IRA, you’re often investing your money in areas where you have specific knowledge or expertise. Instead of only buying mutual funds, stocks and bonds, you can also invest in precious metals, energy, real estate, and other alternatives. The self-directed IRA is best for investors who are very detailed about their money and want to take an aggressive, hands-on approach to their retirement. Investing in a traditional IRA can be as simple as setting up an account online and then choosing a few mutual funds. A self-directed IRA requires more research and responsibility, but it can lead to more significant returns on your investments. In addition to a broader selection of investment options, one of the most significant advantages of a self-directed IRA is the tax benefits it brings, primarily in the area of taxable assets. Gains on almost every investment incur taxes, but purchase those same investments through an IRA account and taxes can be deferred until payout. A related benefit is that the funds that would have been used to pay taxes can instead be reinvested to grow the account even more. Another significant advantage is that assets in a self-directed IRA have protection during bankruptcy proceedings. Of course, no one plans for a future with bankruptcy, but it’s always a plus to know your investments will be secure. Nearly any type of IRA has protection from creditors, but the unique investments potentially held in a self-directed IRA, such as real estate, would otherwise be seized in bankruptcy. A final benefit of a self-directed IRA is that this retirement account usually allows for assets to be passed on to a beneficiary with little or no tax implications. If you’re planning a financial future not just for yourself, but for the next generations, this can help ease a potentially huge tax burden. Are There any Negatives to a Self-directed IRA? There are a few downsides to a self-directed IRA, the most significant being that assets in this type of account can be difficult to value and can be problematic to turn into cash. This holds true for assets such as land or an antique car held in the account. It is easy to sell stocks, bonds, and most precious metals because the value is agreed upon by the markets. Another disadvantage can be that the financial organization that holds your self-directed IRA will likely not be offering any direct investment advice. If you don’t have a firm background in buying and selling investments, you will need to get some help from a financial advisor or another service. The bank or brokerage that holds your self-directed IRA will make sure you’re not breaking any laws or investing in anything fraudulent or prohibited by the IRS, but you’re on your own when it comes to making investment decisions. With traditional IRAs, you can invest with little financial knowledge, putting your money in index funds or target date funds that follow a segment of the stock market or seek the best growth in a given time frame. 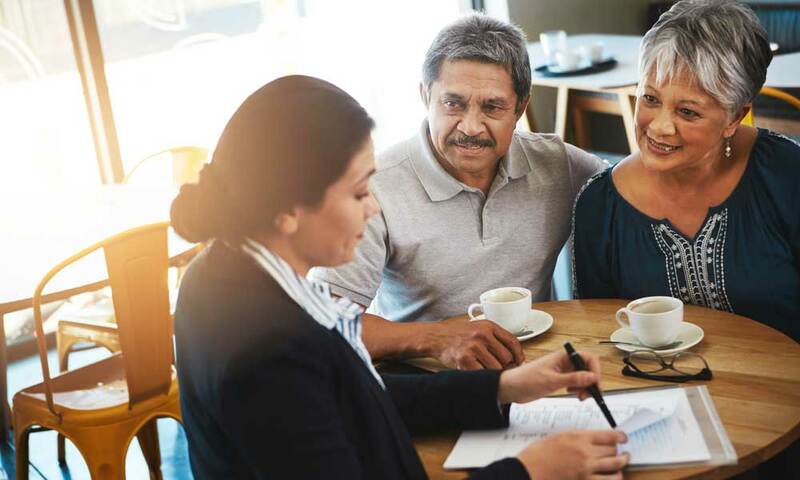 Because of their non-traditional nature, self-directed IRAs can also be a more substantial target for fraud, so it’s important to make sure you consult with a professional about any decisions. For more information, see the security alert, Self-Directed IRAs and the Risk of Fraud from the Security Exchange Commission (SEC). What is the Contribution Limit to a Self-directed IRA? Like other IRAs, the annual maximum that can be contributed to a self-directed IRA changes each year. For 2018, the most you can invest in a self-directed IRA is $5,500 in a single year if you’re under the age of 50 and $6,500 if you’re over the age of 50. Keep in mind that the IRS-defined contribution maximums apply to all IRA accounts you own. For example, if you contribute $3,000 to a self-directed IRA, you can only save $2,500 in a Roth IRA. What are the Rules about Withdrawing Money from a Self-directed IRA? The general rule with all IRAs is that you’re not touching that money until you turn 59 ½. If you decide to take money out of a self-directed IRA before you hit the right age, you’ll pay a 10 percent penalty to the government and will pay taxes on the income. Like a Roth IRA, if you’ve had a self-directed IRA less than five years, you can remove all the money without penalty. You’re still responsible for the taxes though. Self-directed IRAs make up an estimated 2 percent of all investments, so you won’t often hear about this retirement funding strategy. This type of IRA is an acceptable option for those who want more diversity in their portfolio, have a lot of knowledge about an area of investments and who don’t mind a little more risk than usual. Most financial advisors will tell you to check on your retirement funds only periodically and to trust time-tested rules to let your money grow. The self-directed approach takes more work and requires analyzing market trends and making moves much more frequently. There’s no doubt there’s more risk with a self-directed IRA, but if you have a more advanced level of knowledge about the investment markets, why not put it to good use? Plan carefully, and a self-directed IRA can keep you on the road to a secure retirement. What Is A Nondeductible IRA? What Is A Roth IRA? What Is A SIMPLE IRA? How Do I Open An IRA? What Is An IRA?